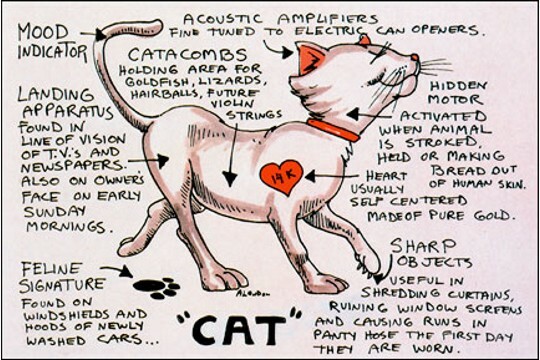 As all cat lovers know, our kitty has a heart of pure 14 karat gold (usually)! Check out the close-up to discover that the kitty's tail is really a mood indicator and that the signature paw prints are often "found on windshields and hoods of newly washed cars..." and many more interesting facts about our feline friends. Great for cat lovers (and maybe even those who might still be on the fence), our kitty card is just the right thing for any cat-occasion!